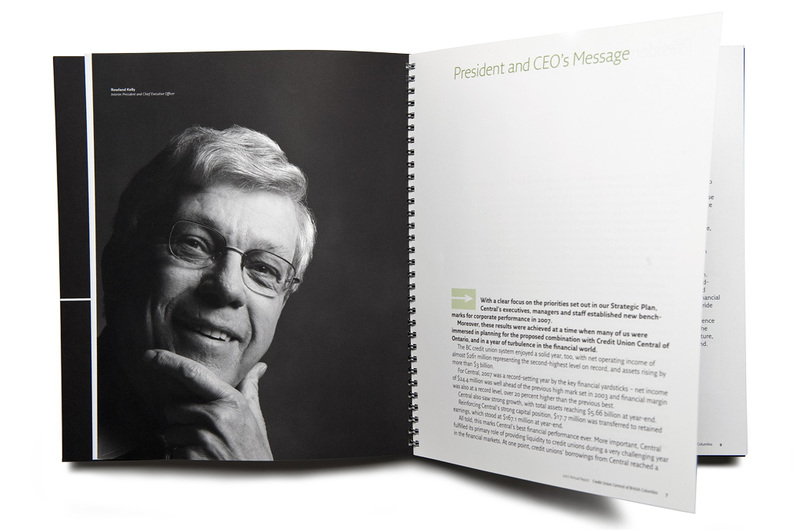 2006 marked a year of change for Credit Union Central BC (CUCBC). 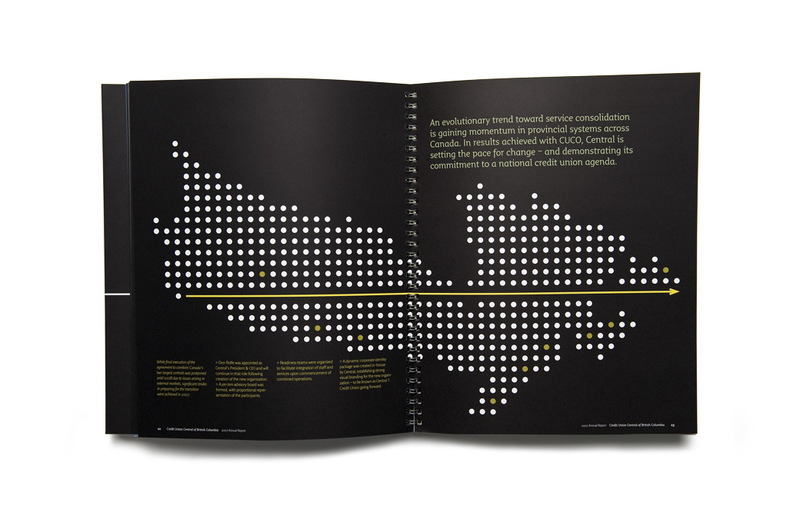 The organization was finalizing merger negotiations with its Ontario counterpart, and had unveiled a new strategic plan. 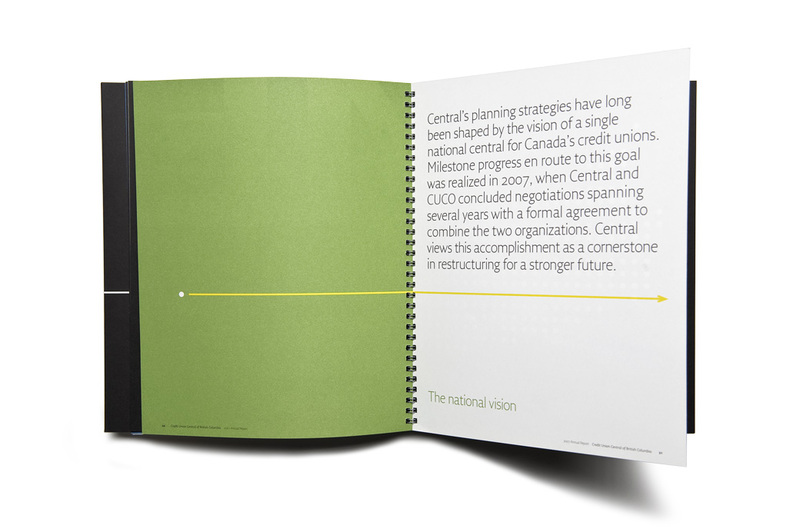 Upon seeing the document, the design solution became clear: focus the Report’s messaging and editorial around the Plan. 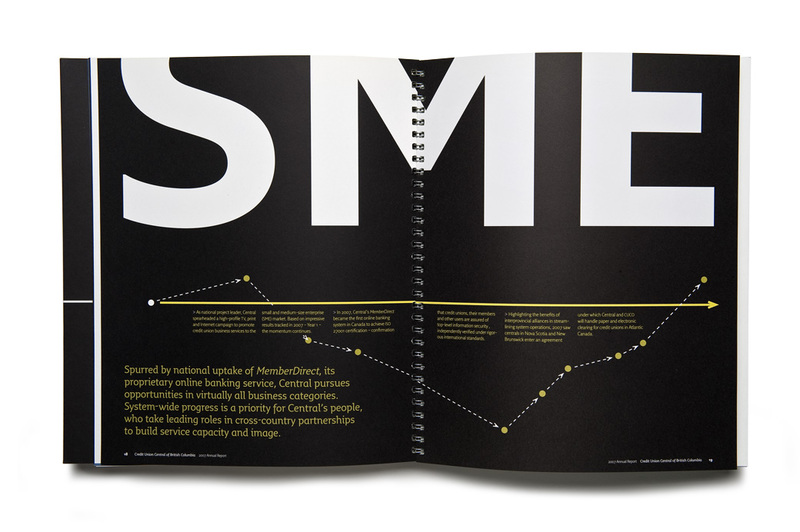 The Plan consisted of three main areas: business, change and people. Forward thinking inspired the narrative theme and title, windows on the future, which reflected the organization’s renewed direction. 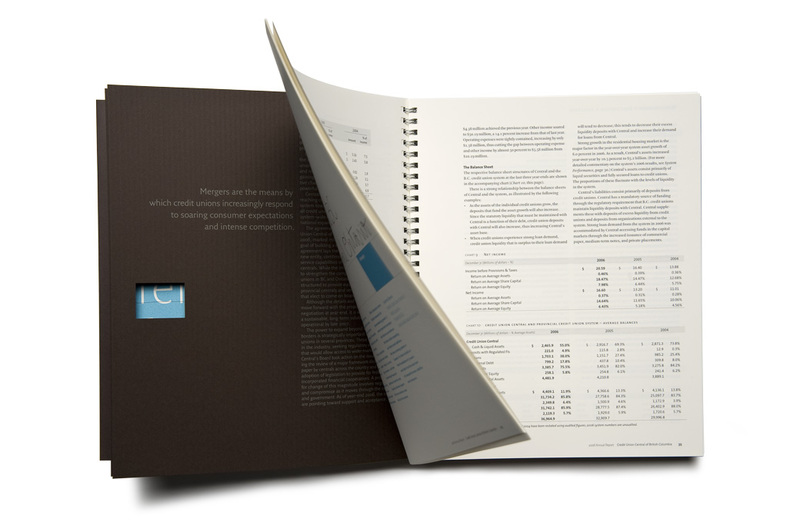 To reinforce the title, a series of die-cut window shapes appeared inside the Report. 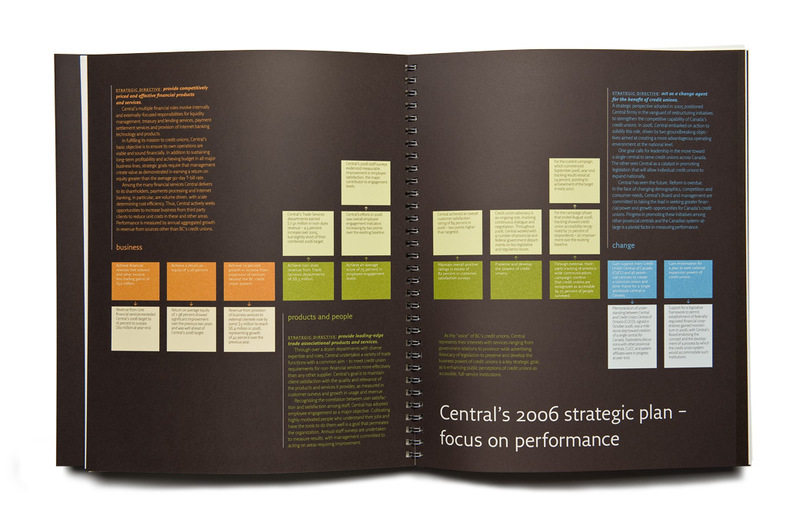 The narrative showcased the Strategic Plan as a colour-coded chart, and included three editorial sections corresponding to the different areas of the Plan. 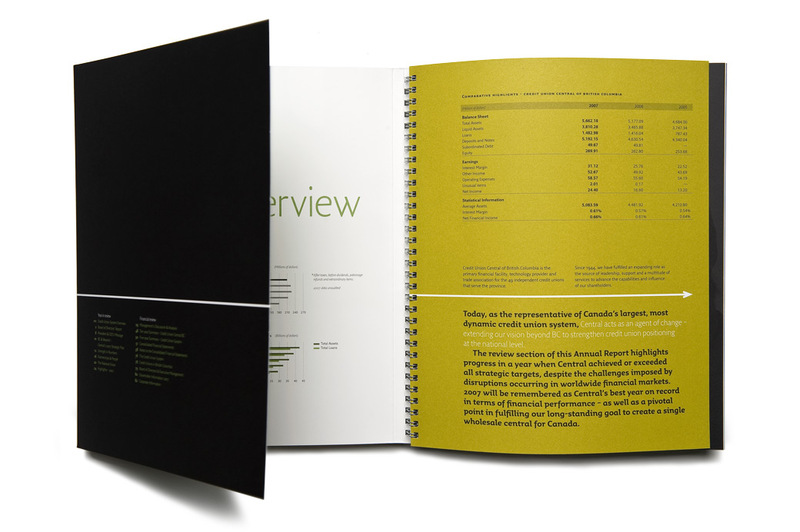 A simple, bold format – including textured paper and wire-o binding – made the Report more approachable and heightened emotional impact. 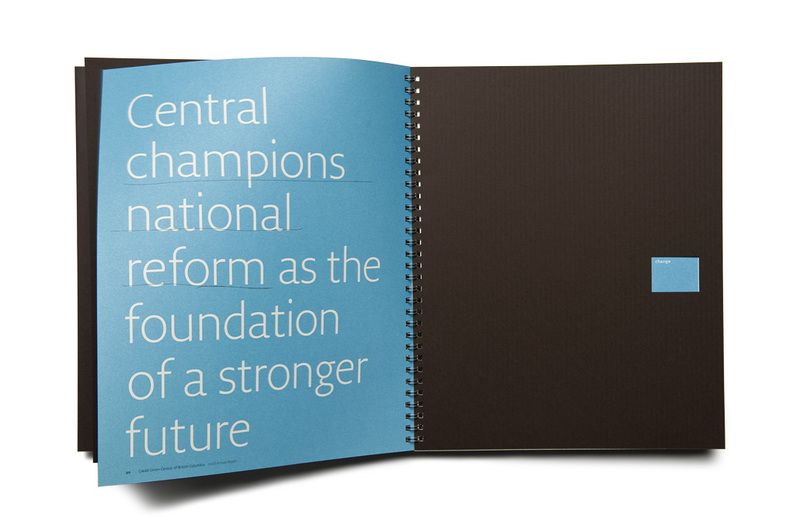 The 2007 Annual Report communicated CUCBC’s progress in advancing the objectives of the strategic plan. 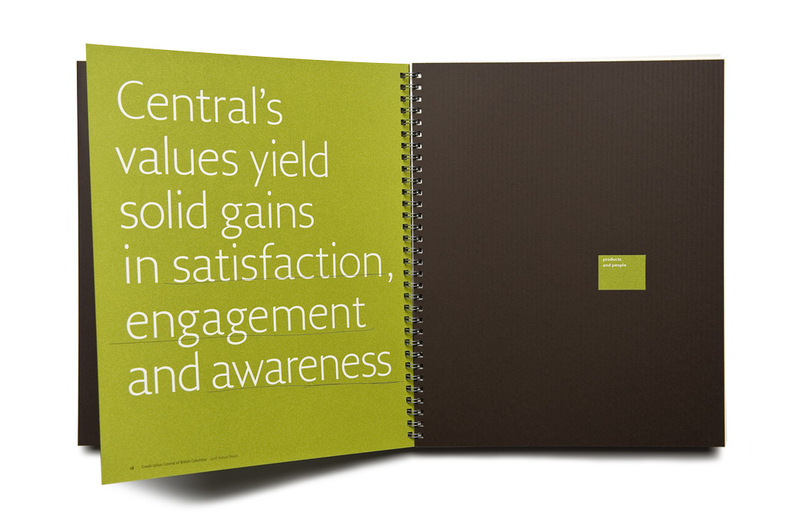 Specifically, the title BC & Beyond focused on the organization’s national vision. 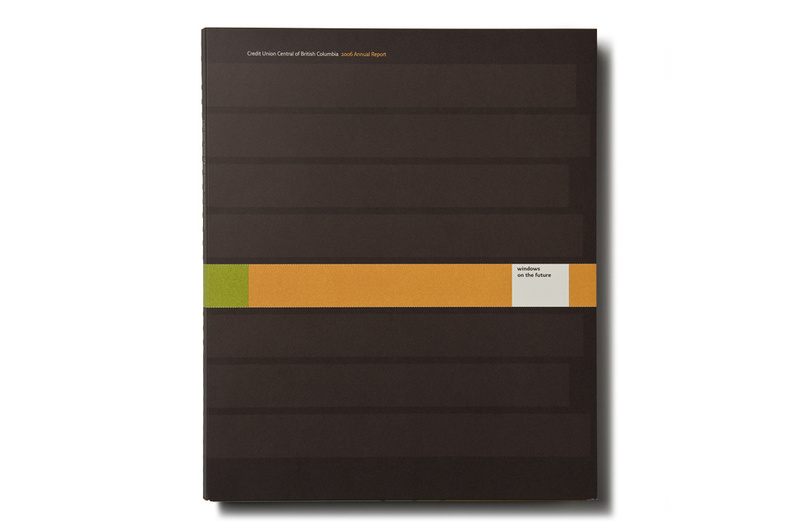 …John Ngan always absorbs the content of the text and the intended message before making any creative decisions. 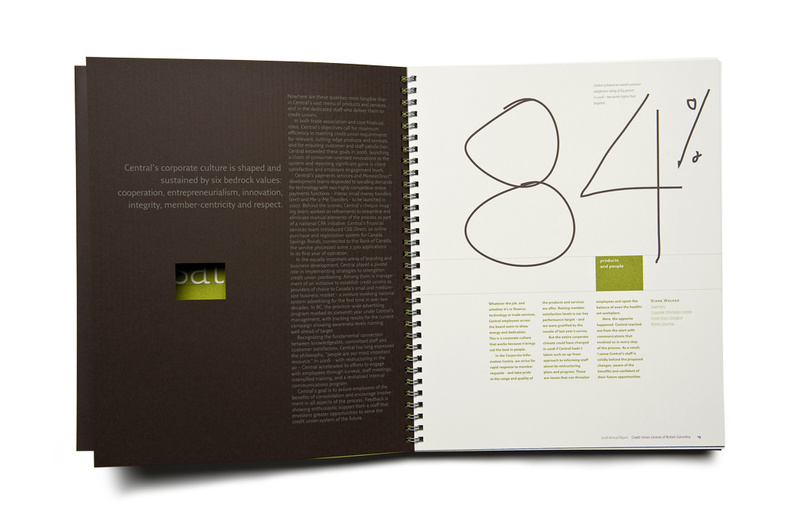 The outcome is a design that reinforces the message and conveys it in ways that are both direct and subtle.